Your smile’s appearance can be influenced by a number of factors, from the color of your teeth to their alignment and the amount of space between them, along with other features. When multiple factors are present, improving your smile may seem complicated and time-consuming. Yet, with custom-made porcelain veneers, your dentist may be able to completely make over your smile in a very short time. Veneers are wafer-thin shells designed to mimic healthy, blemish free teeth, and each shell is bonded carefully and securely to the front surface of your tooth. With one or more veneers, you can enjoy a brand new smile without having to undergo multiple cosmetic and/or restorative procedures. 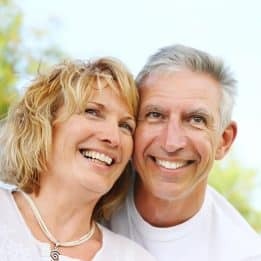 If you want to give your smile a new look, don’t hesitate to ask your dentist if porcelain veneers can make your smile one that you’ll be proud to show. A smile makeover means something different to everyone. The procedure or combination of procedures is designed to address your specific needs using the most conservative but effective methods. With porcelain veneers, your dentist can address a number of different issues at once, reducing the number of procedures you would otherwise need. Because each veneer is placed directly onto the front surface of your tooth, veneers can create a complete smile makeover in significantly less time and with much less effort. Are porcelain veneers the right option? If you have several different smile issues to address, or simply wish for the most conservative but effective option, then ask us if veneers are the right option during your next appointment. To learn more, schedule a consultation with one of our experts by calling the My Dentist office in Londonderry, NH, today at (603) 965-3407.